My mini schnauzer has a problem of wanting to eat anything and everything he finds on the ground. When he sees something, he quickly sniffs it and then immediately tries to eat it. I am forever worried that he's going to ingest some pesticide or something else that could really cause him harm. What can I do to stop this behavior? My 10 year old does the same. It seems the older she gets the worse she has gotten! I wish I had an answer for this problem! I think the most important thing you can teach your dog is the 'drop it' command. 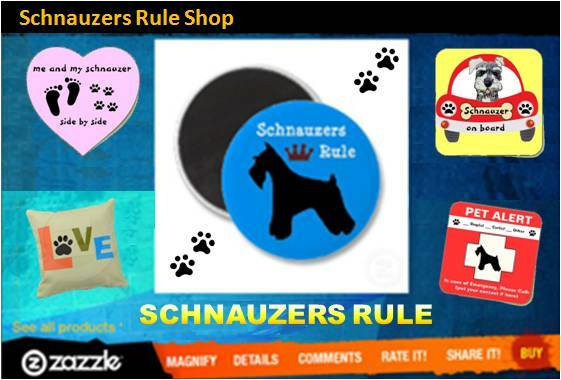 Is your schnauzer still a puppy? I have one adult and one puppy. What I have noticed is that this gets better with maturity. Both of my schnauzer's will eat anything they see. But, my white schnauzer is so much better about things since she's reached adulthood, and will leave most stuff alone. My salt and pepper is still a puppy, and I can't leave him unattended. That being said, since they will obey 'drop it', (most of the time), it has saved my salt and pepper twice from eating oleander leaves, which are highly toxic. I hope you can find something that will work for you, but I can totally empathize with you!